Paper Back : 416 Pages. Size 26 x 19 cm. Contents : 25 Topics, Learning Objectives, Overview of the Topic, Sample Questions with Solutions & Explanations. Special Feature : Useful Websites, Stop And Think, Exam Tips. 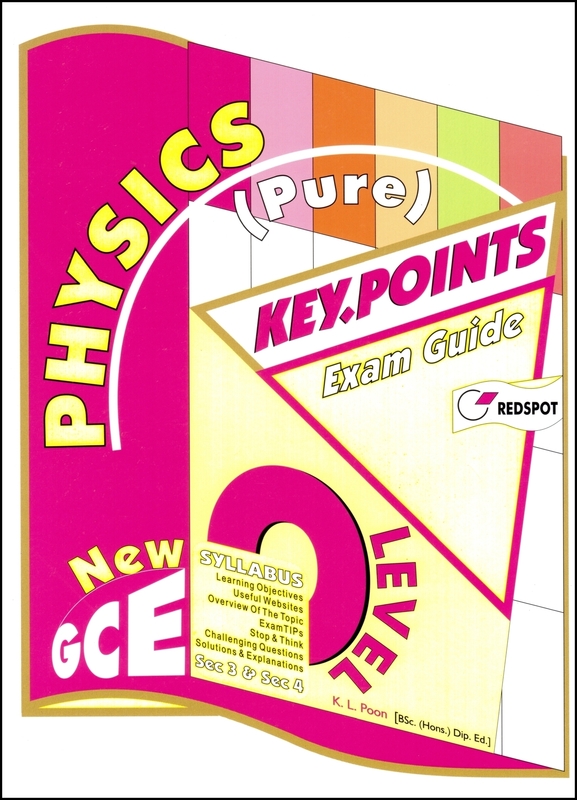 About this book : This book aims to prepare students for the O Level examinations. Each chapter of the book consists of: 1. Learning Objectives: Learning objectives of each chapter based on the latest syllabus are given in this part. Students should make sure they are able to meet all the expectations before taking the examinations. 2. Useful websites: Some useful websites are listed for students reference and further research. The Java Applets and animations in some websites can be helpful in understanding concepts. 3. Overview of this topic: Overview of the topic gives students a full picture of the topic. The table shows the structure and all the key areas of the chapter. 4. Key Points: This part is featured by concise study notes. All key points and formulae are presented to help students consolidate their knowledge learnt in class. 5. Exam tips: Exam Tips in this book summarizes all of students common mistakes, weaknesses and misconceptions shown in the past examinations. Some important reminders for students are also listed in this part. 6. Stop & Think (Challenging questions with solutions): For each chapter, different types of questions appearing in the examination are included to enhance students examination techniques. All these questions are provided with solutions and explanations.